Saturday was Free Comic Book Day and I got to hang with a bunch of my favorite cartoonists. Jay Fosgitt of Bodie Troll fame traded some sketches with me and he drew his version of Ellie if she was a real girl (which I colored, per his request)! 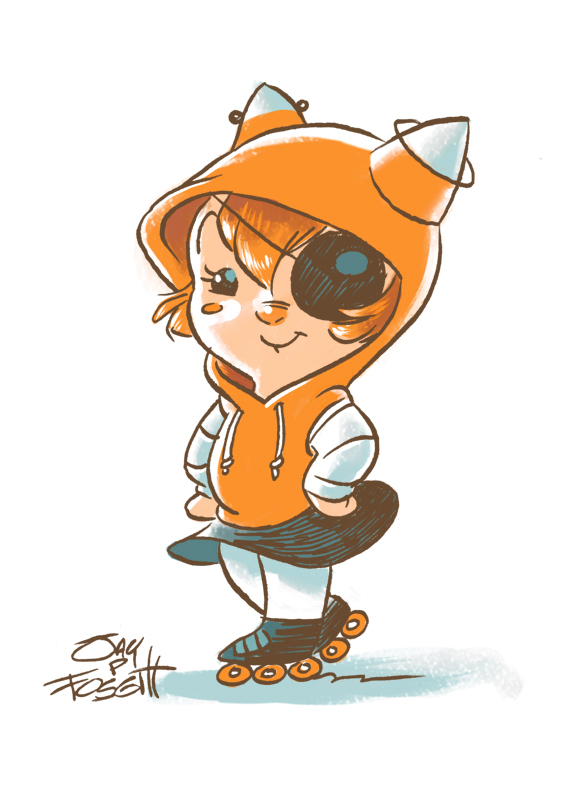 I’m digging her inline skates and her eye patch. Thanks Jay!